This is Richard Ford's fourth novel, written in 1990. He is perhaps better known for Independence Day, which won the Pulitzer Prize and Penn prizes. Ford is often compared to Faulkner or Hemingway in that he holds a mirror up to American society and we see reflected in it and lives of the characters he creates, both the universal human condition and that of America's ordinary people. Wildlife is characterized by clear, tight, poetic, if a somewhat distant, narrative style. This reflects the overarching theme of the futility and sterility of unfulfilled lives. The story is set in 1960, and is told in the first person, by Joe Brinson, a young man living with his parents. Like many of Ford's creations, he is caught at the moment of transience, having recently moved to Great Falls and not having made many friends. His father Jerry has recently lost his job, and becomes a fire fighter. He is sent off to fight a raging forest fire. In the few days he is gone, Joe's mother has an affair. The natural disaster serves as metaphor, too, for the explosive passions that the family must share. Joe learns that his parents are frail and that he still needs them. He learns that frailty is not only individual but social; that even in a Western boom town where people come in a dream of equal opportunity, there are a few who build power for themselves and a great many who don't, and that the latter are at the mercy of the former. A nuanced awareness of class in American life is one of Ford's interesting strengths. A novella about an adolescent learning a life-lesson is bound to be didactic. But in "Wildlife," the didactic element overbalances the fiction. The writing is skillful. Jerry, in his hazy-minded breakout, and Jeannette, in her acid-tongued though equally wishful escape, are drawn clearly and individually. They are not, however, very interesting. Their fate--to be diddled by the powerful--is visibly upon them from the start. Ford has given Joe a quietly uninflected style. It allows a subtle and precise narration. But it also means that he comes across as the recorder of his experience more than as its protagonist. And this makes the learning voice of the boy indistinguishable from the teaching voice of the author, which isn't the same thing at all. 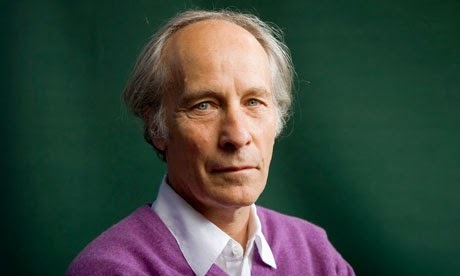 Richard Ford was born in Jackson, Mississippi in 1944. He has published six novels and four collections of stories, including The Sportswriter, Independence Day, A Multitude of Sins and, most recently, The Lay of the Land. Independence Day was awarded the Pulitzer Prize and the PEN/Faulkner Award for Fiction, the first time the same book had won both prizes. Richard Ford lives in Maine with his wife, Kristina Ford.